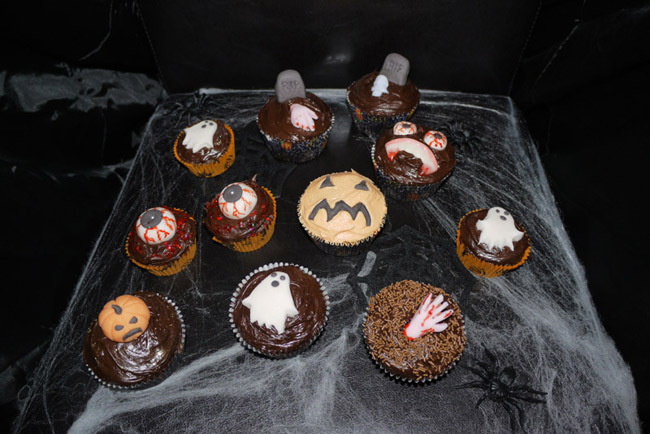 Last night I joined forces with the amazing Sam of Carousel Cupcakes to work on a range of spooky, creepy and ghoulish Halloween cupcakes. Decorating the cakes was so much fun - and as a cake decorating novice, I learnt a lot from Sam about decorating tools, different types of icing, how to make the perfect buttercream and how to apply chocolate ganache! I really enjoyed sculpting the little hands bursting out of the chocolate cakes and dribbling red food colouring over them to represent blood. Yuck... but also YUM! 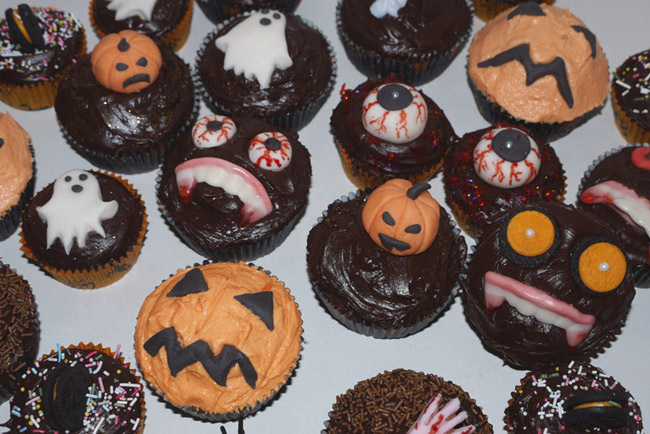 The monster faces, pumpkins, eyeballs and ghosts were so fun to make by colouring white icing with special powders and using special Halloween-themed sweets like the vampire teeth as finishing touches. I hope you enjoyed this post, it was so much fun to create and hopefully there will be some more Lily in the Labyrinth / Carousel Cupcake collaborations in the near future! Be sure to check out the Carousel Cupcakes website for more of their brilliant work and follow @CarouselCupcake on Twitter while you're at it. 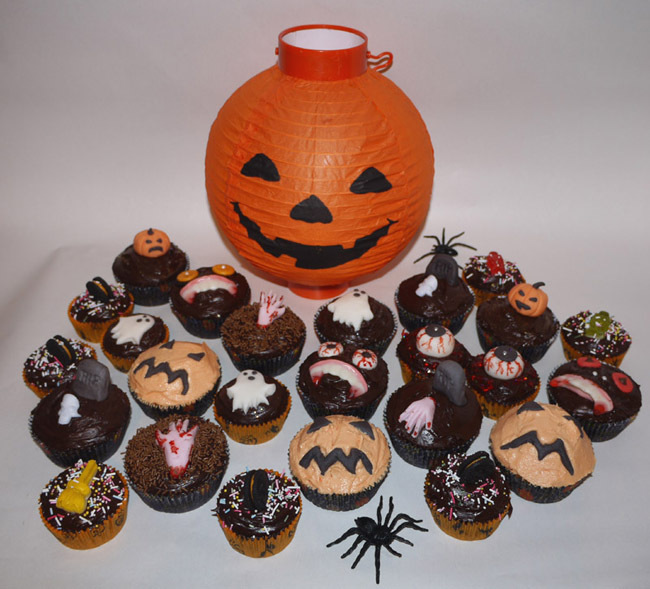 Have you ever done any Halloween-themed baking? 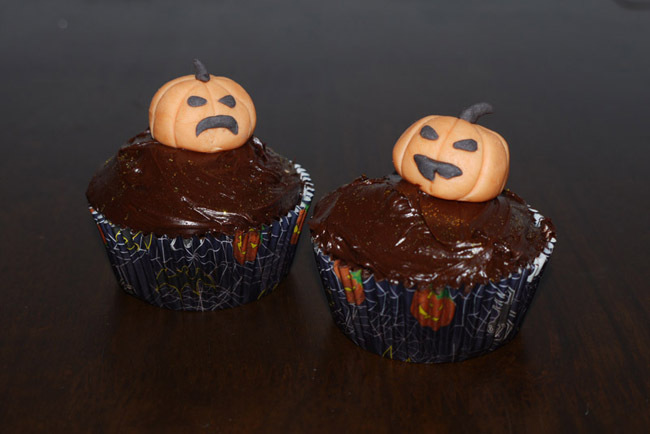 These look amazing and strangly appetising, I shall attempt to make some this year. I will most likely fail. That was September . . .
Finds: Vintage halloween . . .